While it’s open to debate whether President Donald Trump made America great, the 2016 election did produce one undeniable result: it laid the foundation for cannabis-related businesses, thereby dramatically improving profitability potential for marijuana penny stocks. During the general election, a record number of states voted for marijuana legalization to varying degrees. Of those voting states, The Washington Post declared that California represents the bellwether. With roughly 12% of Americans calling California home, a major win here would signal greater social acceptance towards cannabis. Of course, The Golden State voted for full recreational marijuana use, bolstering marijuana stocks. Not only that, this year is particularly important for cannabis-related businesses as generally speaking, Californians no longer have to carry medical “green cards” to purchase their “herbal solutions.” It must be noted that specific regulations vary by city to city; however, the overall regulatory environment has loosened substantially. Aside from social acceptance, we have undeniable financial results from the “botany” industry. According to Colorado.gov, cannabis nearly became a billion-dollar industry in Colorado in 2015, and officially crossed the mark in 2016. Last year, green businesses raked in more than $1.5 billion. The implications are obviously positive for marijuana stocks. With so many states reporting budget deficits, the last thing the embattled Trump administration wants to do is to stymie economic progress. After all, his primary calling card was his business acumen. The federal government may just have to reconsider its stance on cannabis, which bodes very well for these top marijuana penny stocks! Facebook stock has more than quadrupled since its initial public offering in 2012. During the same period, shares of Cognex — a manufacturer of machine vision software and systems — have grown almost sixfold. Wait, what exactly is machine vision, you may ask. In its simplistic form, machine vision systems capture digital images that can be processed by computers to facilitate quick decision making. So for example, such a system could inspect thousands of machine parts per minute on a production line to detect and help eliminate defects in the least possible time and at the lowest cost. As you might have already guessed, Cognex’s business has a lot to do with automation and robotics, and that’s where the stock’s potential lies. During its last quarter, Cognex’s sales jumped 39% year over year, but a net loss hit the stock. Blame it on a one-time charge under the new U.S. tax legislation — otherwise, Cognex’s net income shot up 46% year over year. 2017 was a record year for the company. Management is increasingly bullish about growth, projecting sales from areas like 3D products and logistics to grow 50% annually in the near future. Meanwhile, markets like automotive and consumer electronics continue to grow at a strong clip as more and more companies are automating their processes. If you believe as I do that the artificial intelligence revolution is just getting started, don’t be surprised if Cognex shares zoom past Facebook in the coming years. Bond yields have risen significantly over the past couple of weeks, and this has put tremendous pressure on income-focused investments such as real estate investment trusts, or REITs. Retail REITs have been especially beaten down, as high-profile retail bankruptcies and store closures have weighed on the industry. Because of this combination of negative catalysts, now is a great time to pick up rock-solid retail-focused REITs like Store Capital at bargain prices. Store Capital is a net-lease REIT. If you’re not familiar, a net lease is a long-term lease structure that requires tenants to pay for taxes, insurance, and building maintenance. Because of these three items, they are also commonly referred to as "triple-net" leases. Essentially, net leases minimize tenant turnover and the variable costs of owning property. Most of Store Capital’s tenants are either retail- or service-focused. Just to give you an idea, top tenants include AMC Theatres, Camping World, and Applebee’s. Here’s the main point. Despite the common perception of brick-and-mortar retail being on the wane, some types of retail are doing just fine. Service-based retail, for example, is virtually immune to e-commerce headwinds. Discount-oriented retail is also doing quite well. And retailers with an experiential component such as Camping World (people like to physically see an RV before buying) also don’t have to worry about online competition much. Thanks to the perceived retail weakness and the recent rise in bond yields, this stock, which Warren Buffett owns in Berkshire Hathaway’s portfolio, now has an impressive 5.3% dividend yield. Store Capital could provide a great combination of income and growth in your portfolio for decades to come. 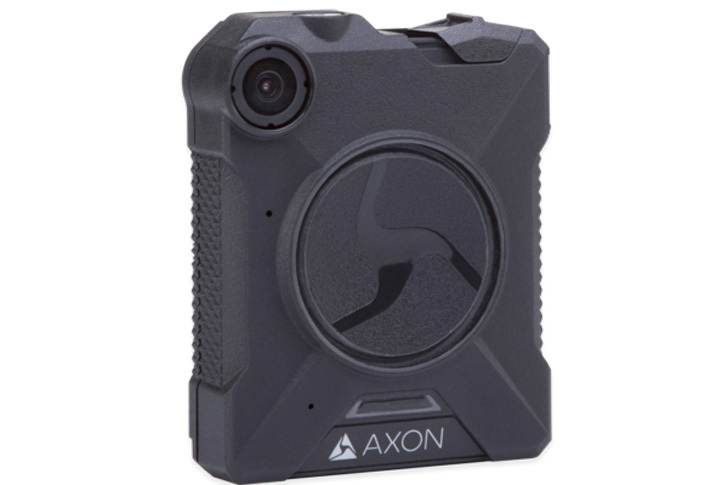 Axon not only produces stun guns, but it is spearheading efforts to put body cameras on all law enforcement officers. The company’s moat takes two forms — one for each line of business. On the weapons side, the company’s TASERs are ubiquitous, and the value of the brand is unmatched. On the Axon side, the key moat comes from high switching costs. As police departments put more and more footage on the Evidence.com platform — and rely upon the AI-generated record-keeping solution — they’re less inclined to switch to a different provider. Not only would such a move be expensive, but it would require entire departments to be retrained, and put critical data at risk for being lost. This entry was posted in Best Stocks and tagged AAXN, CGNX, STOR on June 29, 2018 by admin. Few companies have the pedigree to compete against Johnson & Johnson. 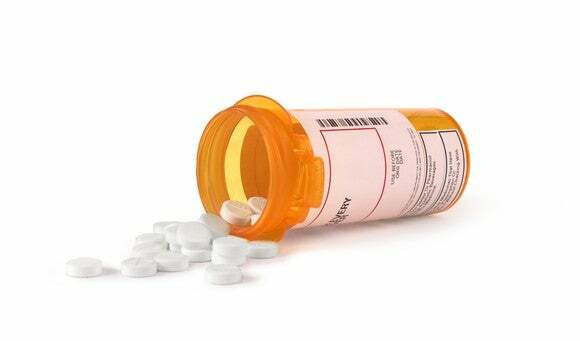 A behemoth in personal care, pharmaceuticals, and medical devices, the company has a well-diversified stream of revenue. It may be the ultimate defensive stock, solid in a portfolio in both good times and bad, and sporting a history of dividend increases that make it a Dividend Aristocrat. Almost half of Johnson & Johnson’s sales come from its pharmaceutical business, which in the first quarter recorded another strong performance, with revenues jumping 20% year over year as both new products like Darzalex and Imbruvica as well as those in its core such as Zytiga and Stelara were well received. On the consumer products stage, beauty products such as Aveeno and Neutrogena helped drive sales up 5% and medical device sales were up 7.5% on the strength of its Acuvue contact lens business. Johnson & Johnson has been around for 130 years and its track record over that time makes it a pretty sure bet it will be around for another 50 as a leading consumer products and pharmaceutical giant. At 23 times trailing earnings and 14 times analyst estimates for 2018, you’re not going to find Johnson & Johnson’s stock in the discount bin. But it is a solid performer with a better than solid reputation that continues to have growth prospects in all its segments. This is a company investors can feel confident that even if it does stumble here and there over the next five decades, it will bounce back stronger than ever. Axon Enterprise is the leader in Tasers and body cameras, which are critical tools for law enforcement. You can see below that these products have driven tremendous growth over the past decade and that trend should continue. In 2018, the company expects to introduce a new vehicle camera called Axon Fleet, a holster called Signal Sidearm that will turn on nearby body cameras when a weapon is pulled, and a records management system that could become an everyday tool for police officers. These products increase Axon Enterprise’s addressable market to $6.5 billion, according to management, so current revenue of $323.8 million is just scratching the surface of its potential. What Axon Enterprise hasn’t delivered is much in the way of profitability. That should also change this year as management focuses on increasing margins across the business. Guidance is for a 300- to 400-basis-point increase in operating margis to go along with 16% to 18% revenue growth. Even with a forward P/E ratio of about 100, I think this is a company that can grow profitably for many years to come. FGL is a holding company offering fixed annuities and life insurance products, forming after the merger of CF Corp. and Fidelity & Guaranty Life was completed late last year. The stock is sporting both a Zacks Rank #1 (Strong Buy) and an “A” grade for Value in our Style Scores system. FG is trading with a P/E of 8.8, which marks a discount to its industry average. Value investors will also love its P/B ratio of just 1.0. The company reports its latest results next week, and earnings estimates for the quarter are trending upward into the announcement date. WTFC stock gained 2.4% after market close. Forming as a result of the split of Hewlett-Packard Company in 2015, HP Inc. handles the brand’s PC and printing products. The company is attracting positive analyst sentiment after a solid earnings beat and now sports a Zacks Rank #2 (Buy). Earnings and revenue are now expected to improve by 17% and 9%, respectively, in the current fiscal year. The stock also has an “A” grade for Value and is trading at an attractive 11.1x forward 12-month earnings. HPQ also has plenty to offer income investors with its 2.6% annual dividend. This entry was posted in Penny Stocks and tagged AAXN, FG, HPQ, JNJ, WTFC on June 27, 2018 by admin.